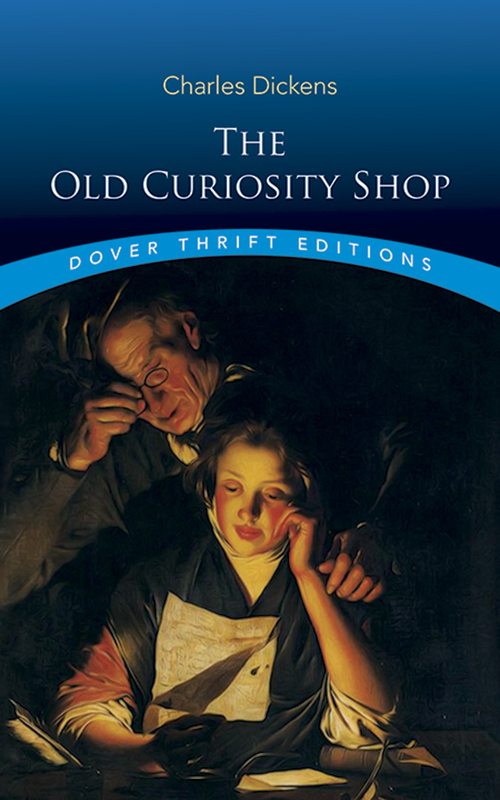 First published serially in 1840–41 in Dickens' own magazine, Master Humphrey's Clock, and in book form in 1841, The Old Curiosity Shop was an immediate popular success. The heart-wrenching story of Little Nell and her doting grandfather offered a rich amalgam of misery and malice, goodness and generosity, love and loyalty — all with a pervading veneer of sentimentality that greatly appealed to Victorian readers. As the story opens up, Nell and her grandfather are living behind his curiosity shop, which brings in barely a pittance. To improve Nell's prospects, her grandfather gambles at night and is soon in debt to the evil dwarf Quilp. When Quilp takes over the shop, Nell and her aged guardian abandon their home and roam the countryside, where they meet up with a diverse and vivid collection of wandering entertainers and traveling shows, jovial innkeepers, clerics, schoolmasters, and sharp-eyed con men. Relentlessly pursued by the avaricious Quilp, the two struggle to survive in a hostile world that often turns a cold shoulder, but nevertheless also includes people who treat them with kindness and compassion. The book has much to recommend it—it features a wonderfully picturesque cast of characters drawn with typical Dickensian flair, while the mean streets of Victorian London and the rustic charms of the English countryside are recreated in loving detail. Above all, the book offers a rich human drama of courage and perseverance in the face of adversity. Generations of readers have applauded Nell and the other plucky underdogs of the story as they oppose the vile and miserable actions of the evil and uncaring.